I guess part of the learning process is finding the real mushrooms instead of the fake ones. 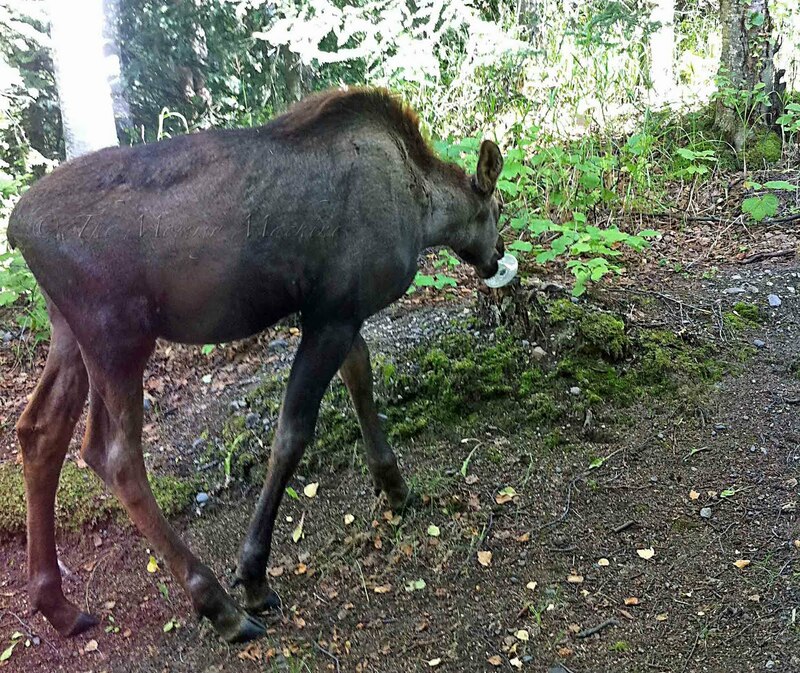 Poor disappointed mooselet! You put that glass mushroom out there just to confuse him, didn't you? That is adorable. What a fun thing to be able to see. Glad he was able to get something to eat. That would be kinda startling...I hope he didn't cut his tongue on it? 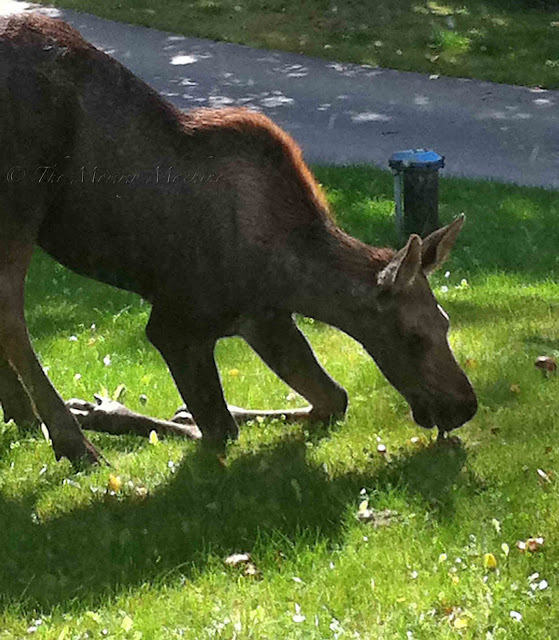 I was just thinking that you hadn't shared any moose recently. We have a book called "If you give a moose a muffin". Way to be a mooserazzi! I had a wild animal wander into my yard yesterday. But it turned out just to be the neighbor kid. It is still crazy to me that you just have random wild mooses (or moose?) 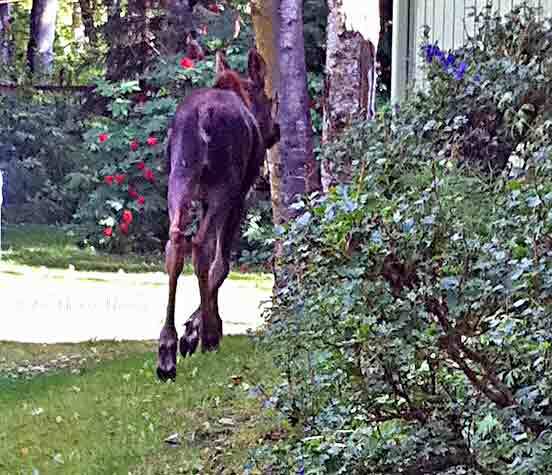 running freely in your yard!!! I think I might read this blog post to my kids tonight as their bedtime story. It's actually pretty cute! 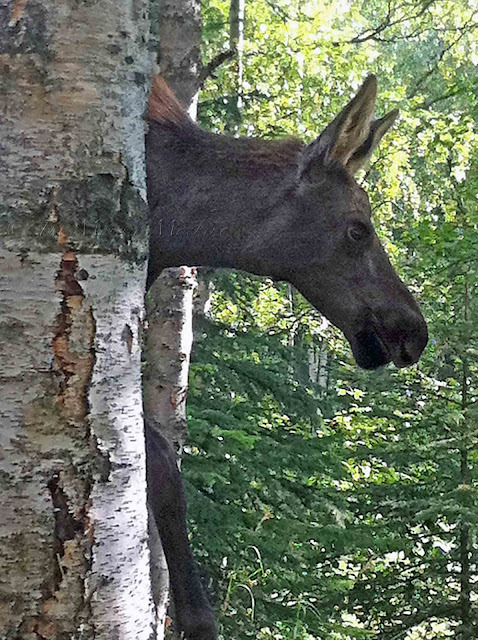 Love the pic of the moose behind the tree!